The city of Tampa, situated on an inlet reaching far into the west coast of Florida, is the economic center of western Florida. Tampa is best known for its tourist attractions, especially Busch Gardens, where families get the thrill of an amusement park and the fun of a zoo all in one place. There are several other popular places in the area dedicated to animals and wildlife, including a zoo, aquarium, big cat sanctuary, and a public manatee viewing area. With all this, plus an excellent science museum and children's museum, Tampa is an ideal place for vacationing families. Downtown Tampa is an area of high-rise office blocks, but Tampa also has historic old quarters, such as Ybor City and Old Hyde Park. Franklin Street is the pedestrian center of downtown Tampa where you will find plenty of shopping, restaurants, and things to do. Busch Gardens is a 335-acre, African-themed family entertainment and adventure park featuring thrill rides, live music, performances, and a multitude of exotic animals in natural habitat settings. Visitors can take a safari to see animals grazing on the plains with reproductions of African villages and camps, and the Serengeti Night Safari is one of the most popular options. There are several special animal encounters available, including the opportunity to hand-feed kangaroos and giraffes; watch as park staff members tend to their patients at the Animal Care Center; and get up close to some of the favorite residents, including sloths and flamingos. There are a wide variety of exciting things to do at the park, including kiddie rides and water rides, but Busch Gardens is best known for its roller coasters that are an extreme thrill experience. There are several ticketing options for Busch Gardens including multi-park passes and packages that include in-park dining. The Museum of Science and Industry invites visitors to explore, learn, imagine, and immerse themselves in every aspect of science and technology. Starting with the basics of physics, math, and other scientific principles, exhibits expand into various subject areas. Kids will love playing a giant game of "operation" as they learn about how the human body works and how technology helps people live longer, better lives. The Idea Zone has hands-on projects, and the Connectus exhibit gives visitors the chance to use cutting-edge technology before it is revealed to the general public. Other exhibits include the opportunity to interact with extreme weather and explore a model of NASA's vision for human life off-earth. The museum has many other things to do as well, like an exciting ropes adventure course, a life-size model of the Mercury spacecraft, and an IMAX theater. Tampa's Lowry Park Zoo features more than 2,000 animals in natural habitats, including animals from Africa, Asia, and Australia, as well as native Florida habitats, a primate area, and an aviary. There is also a large aquarium and three pools that are used to treat local manatees who are injured or ill. Visitors can get up close to some of the zoo's residents, including "backstage" opportunities with penguins and tortoises, as well as the chance to feed an Indian rhino. Popular residents at the zoo include the African elephants, African penguins, Florida panthers, and the Bornean Orangutan. The park has some rides as well, including a safari ride through the African habitat, a mini-train ride, and a family-friendly roller coaster. The zoo also hosts special programs and events throughout the year, and is as popular with locals as it is with tourists. Part of the former Tampa Bay Hotel, once owned by railroad tycoon Henry Plant, was turned into a museum in 1933. It is a luxurious Victorian palace with distinctive Moorish features. The Henry B. Plant Museum traces the history of the hotel and Plant's contribution to the development of Tampa and Florida. The various rooms, such as the Grand Hall, the Reading and Writing Room, and the Garden room feature fine period furnishings and offer a glimpse into the lifestyle of Henry B. Plant. An avid gardener, Plant hired a prominent landscape architect to design the grounds, which are known for their lovely tropical gardens. 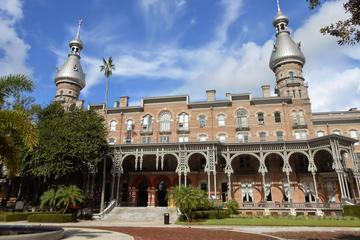 The rest of the building now houses the University of Tampa. Tampa's Florida Aquarium has an exciting variety of animal habitats, exhibits, and activities to educate and entertain all ages. The habitats are arranged to accurately represent a watershed area similar to the Tampa area so that visitors can see the wide variety of fish and ocean life. Visitors have the chance to get hands-on with invertebrates like starfish and anemones and even visit some land-dwelling residents like the lemurs. Florida Aquarium admission also includes the outdoor Splash Pad, where kids can cool off, as well as shows at the 4-D theater, where sensory elements are added to a 3-D film for a completely immersive experience. For an extra charge, visitors can also experience behind-the-scenes tours and in-depth interactions, like swimming with sea turtles or meeting African penguins. Big Cat Rescue is a wildlife sanctuary for abused and abandoned big cats. It is a non-profit organization that is home to more than 60 animals that include tigers, lions, leopards, servals, caracals, bobcats, jaguar, lynx, and other species. While at the sanctuary, visitors will learn about the care and rehabilitation of these animals. The rescue group's ultimate mission is to stop the big cat trade, which results in so many of these graceful cats living in terrible conditions. Unlike a zoo, tourists may only visit the sanctuary on a guided tour, which must be booked ahead, and it is recommended to make your reservation well in advance due to popularity. If you are visiting with a child under the age of 10 you must take the "Kids Tour," which is only available on certain days. The Glazer Children's Museum focuses on giving kids a fully interactive experience so they can learn and explore through play, using their imaginations to bring the many kid-sized exhibits to life. Kids can learn about saving money and commerce at the bank, slide down a fire pole on their way to save lives in the fire station, and try their hand at design and carpentry to fix an old house. Future veterinarians can check x-rays and plan treatment for patients, and prospective captains can navigate a shipping vessel through a channel. In addition to many more grown-up jobs they can explore, there are exhibits that explore robotics, engineering, oceanography, and world cultures. Built in 1926, the Tampa Theatre is a luxurious movie palace featuring a unique mix of architectural styles including Italian Renaissance, Byzantine and Greek Revival. It presents foreign and classic films regularly along with specialty concerts and other programs. While you can see both new and old films here, watching one of the classics in this building is a great way to feel like you've stepped back to another time period. Although it may seem like an odd place, this manatee sanctuary is located across from a Tampa Electric power plant. The manatees are drawn here by the warm water produced by the power plant and can sometimes be seen in very large numbers. 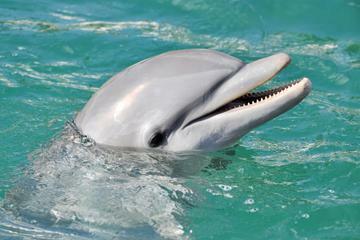 They are most prevalent when the surrounding water temperatures are cold, dipping below 68 degrees Fahrenheit. Visitors will find a tidal walkway showcasing a variety of Florida plants and birds, butterfly gardens as well as an observation platform for the manatees. The Manatee Viewing Center is also home to an educational building that features the power plant and the manatees. The exhibits at the Tampa Bay History Center trace the rich history of the Tampa Bay area going back 12,000 years. Early inhabitants of the region such as the Seminoles, the multicultural influences of the last five centuries, the railroad and shipping era, and regional geography are highlights of the Tampa Bay History Center. In addition to the permanent collection the center features a temporary gallery with changing exhibits. This is a 60,000 sq ft facility with a glass front, located in the Channelside District. The center of Tampa's Latino community, Ybor City is a National Historic Landmark District. It is named for its founder, cigar baron Vicente Martinez Ybor. He came to the region in the mid 1880s, after workers at his Key West plant threatened to unionize. At one point, the Ybor cigar factory was the largest in the world with over 4,000 people hand-rolling more than 900,000 cigars a month. However, the Great Depression and machine rollers brought an end to the boom, and most factories were closed and demolished. In more recent years, the area has experienced a revival and is home to many shops, galleries, restaurants, and cafes. Seventh Avenue in Ybor City, known in Spanish as "La Septima," features some of the district's most historical buildings, several of which are listed on the National Register of Historic Places. Ybor City's Columbia Restaurant is the state's oldest and the nation's largest Spanish restaurant. This historic institution was established in 1905 by Cuban immigrant Casimiro Hernández, Sr. The Columbia is famous for its Spanish cuisine, dinner shows, and old-world architectural charm. Live entertainment includes flamenco and jazz in the café. Sunshine Skyway is a toll bridge located on I 275/US 19. This multi-lane "highway on stilts" is 12 miles long and curves gracefully across the entrance to Tampa Bay. Its most impressive feature is a 4.25-mile-long, high-level bridge, the middle section of which is suspended from two gigantic pylons, allowing the passage of large ocean-going vessels beneath. The previous bridge was rammed by a cargo ship in 1980 and partly collapsed, and parts of the old bridge now serve as piers for anglers. From the drive over the new bridge there are beautiful views out over the ocean, and the bridge itself is also an impressive sight and often photographed by tourists. There are several good areas to stay in Tampa, depending on your reason for visiting. Staying downtown is a good option for sightseeing and entertainment. You may want to stay closer to Busch Gardens if this is the primary reason for your visit or near the stadium if you are coming to see a football game. Below are some highly-rated hotels in these prime areas. Luxury Hotels: In a prime downtown location, Le Meridien is a top-end hotel in what was formerly a federal courthouse and is now listed on the National Register of Historic Places. A little removed from the action of downtown but in a nice neighborhood is the contemporary Epicurean Hotel. If you are coming to Tampa to see a game, the Renaissance, near the Raymond James Stadium, is a great option. Mid-Range Hotels: In the heart of downtown is the Tampa Marriott Waterside Hotel and Marina, with waterfront views; nice outside patio areas; and large, comfortable rooms. In the same category is the Sheraton Tampa Riverwalk, also with a nice location and scenic views. Both of these have pools and are conveniently located for visiting Ybor City or the Florida Aquarium. In a fabulous location in the Ybor Historic District is the Hilton Garden Inn, with an outdoor pool and hot tub. The Holiday Inn Hotel and Suites Tampa N, near Busch Gardens, is a good option for families. Budget Hotels: A short drive from Ybor City is the Quality Inn and Suites, with a great location for this price range. Near the Raymond James Stadium is the reasonably priced Comfort Suites. Also good value and near the stadium is the Clarion. Both of these are a little far from the city center but within reasonable distance if you have a vehicle and perfectly located if you are here to see a game. Save Money: If you plan to visit several of Tampa's top attractions, the Tampa TRIO pass will save you money. This great-value pass gives you admission to three Tampa attractions for one great price, including the Florida Aquarium, the Museum of Science & Industry, and Tampa's Lowry Park Zoo. Best of all, the pass has no expiration date, giving you maximum flexibility to visit the attractions in your own time.